Even when there is snow on the ground, ticks are still alive—though they pose a slight threat to you and your family. However, brief warm-ups do wake up these critters, and your children or pets may find a tick crawling on them. The only way to keep ticks and other non-beneficial insects away from you comes in the form of insecticides. However, you need cedar oil if you don’t want noxious chemicals on your lawn that not only keeps ticks away, but also beneficial insects. Cedar oil comes from cedar trees. Cedar has been used for centuries to keep moths from eating clothing. 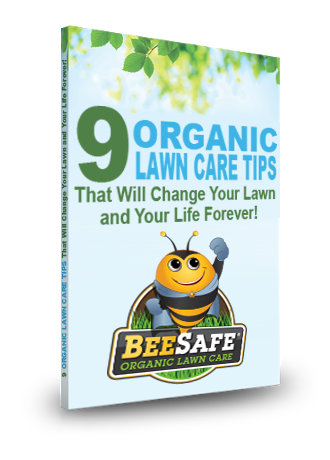 Now it’s used to keep non-beneficial insects from coming onto your yard. The cedar oil used around the perimeter of your property is concentrated, so it starts working as soon as it’s applied. You can also use cedar mulch or chips to place around your landscapes, instead of bark mulch, to keep ticks and other bad bugs from getting into your home. And best of all, cedar oil is safe to use around children and pets. Matter of fact, your kids and dogs can go outside right after the application. Even though this blog is dated from 2017, it’s still appropriate for 2018 when it comes to exploding tick populations. Along any other shaded areas on your property. Cedar oil basically suffocates ticks and other non-beneficial insects. Plus, cedar oil will destroy ticks at all stages of their life cycle, including eggs and nymphs. And yet, you need monthly cedar oil treatments to keep these bad bugs away from your property until the temperatures dip down below freezing for the winter. Remember, ticks love humid, dark places. However, you won’t find ticks sunning themselves in the middle of your yard. And other areas of your property that are dark and moist. By cutting down weeds and cleaning up brush piles, you can eliminate your property’s tick habitat. It’s soon time to think about pre-emergent weed control. Read this blog to learn about liquid corn gluten—the safe, organic weed control. And any other animals that stay outside and have a good chance of getting ticks. If you have bird feeders, make sure you clean up after your feathered friends. Spilled seed attracts mice, rabbits, raccoons and squirrels to your property. Plus, you can put up fencing to keep deer out of your property. And eliminate areas where mice, rabbits, and other wildlife live, such as brush piles, sheds, walls and other areas they can burrow. Finally, make sure you do a tick check after you’re done playing or relaxing outside. You, your children, and pets need to be checked from head to toe to ensure that no ticks got a free ride into your home. As you know, ticks can carry life-threatening diseases, such as Lyme and Rocky Mountain Spotted Fever, to name just two of them. It’s imperative to protect your loved ones from these parasites! If you want to have a tick-safe lawn, call us today to schedule your cedar oil application. Remember, you’ll keep ticks off your property all season long when you have regular cedar oil applications. Call us today at 603-262-1215 or fill out our contact form.